Home > Shop by Brand > John Deere Leather Belts "On Sale" !!! 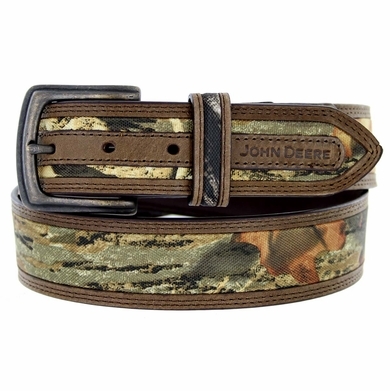 > 4518500 John Deere Men's Fabric Camouflage Leather Belt 1-1/2"
Select Size: Select Size38 This item is currently out of stock! 1-1/2" (38MM) John Deere Men's wide fabric camouflage belt with crazy horse buffalo tan leather, buckle in Old English brass finish.